The poster for Last Action Hero. Steven Spielberg’s Ready Player One is bursting with so many winks, nods, and references to all areas of pop culture that sometimes, even the people who created those things aren’t aware they’re in the film. Case in point, Ready Player One co-writer Zak Penn. Penn, best known for writing many of the early X-Men movies, adapted the reference-heavy, self-aware book along with its author, Ernest Cline. 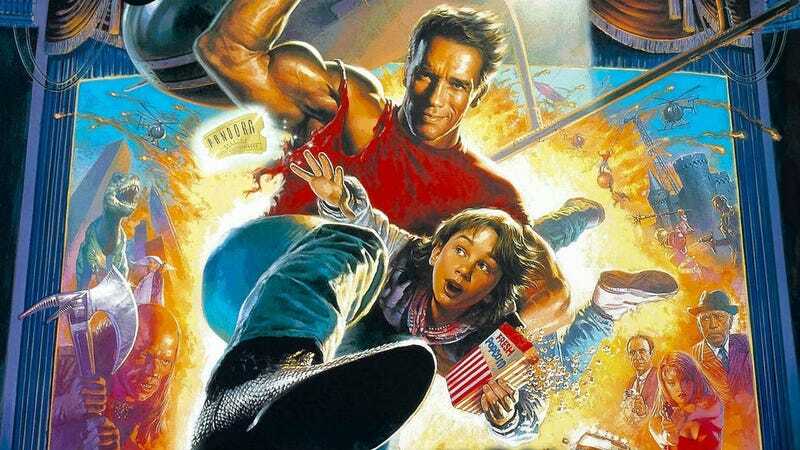 Years earlier, he also co-created the 1993 Arnold Schwarzenegger film Last Action Hero which shares several meta-elements with Ready Player One. Last Action Hero seems like exactly the kind of film characters in Ready Player One would love but Penn didn’t want any references from one movie in the other. So he was surprised when, during the opening set piece, the race flashes past a theater showing “Jack Slater III,” a film named after the main character in Last Action Hero. Here’s a Last Action Hero reference in Ready Player One. Ready Player One opens March 29.